Bishop Rachel will spend Holy Week visiting women in prison, patients in Gloucestershire Hospitals, a charity that supports children with additional needs and a social enterprise company that works to serve those most deprived in their community. Starting Holy Week with a Palm Sunday pilgrimage in Gloucester, Bishop Rachel will walk from St Catherine’s Church, London Road at 2pm to St Baranabas Church. Everyone is invited to join this pilgrimage; it will go ahead whatever the weather! She will then lead a special Lent service at 4pm. On Tuesday 16 April she will visit HMP Bronzefield in Surrey, a female adult and young offender prison located in Surrey and the largest female prison in Europe. 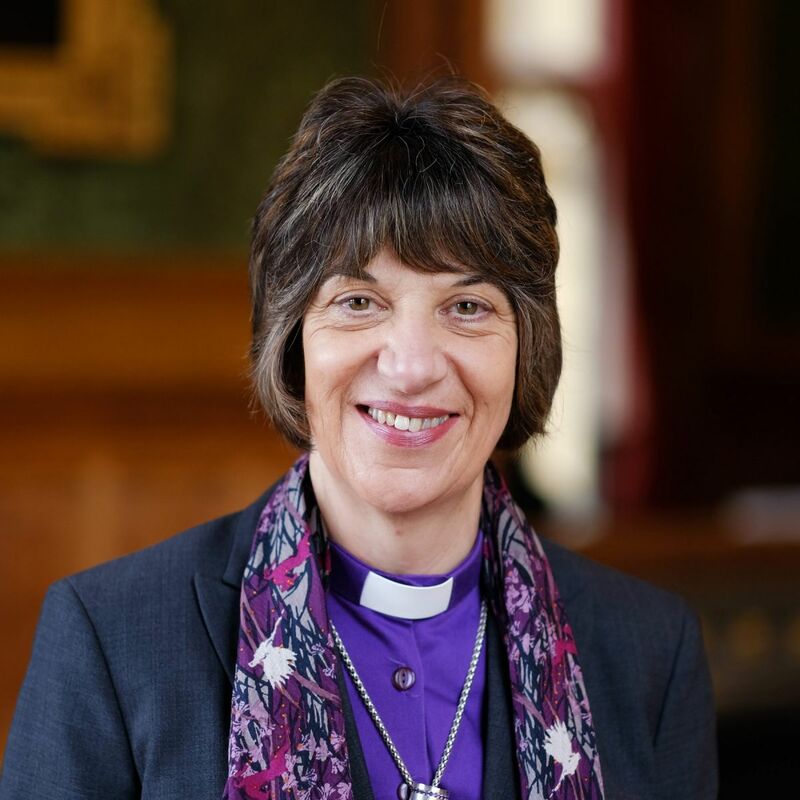 Bishop Rachel will spend time with staff and prisoners as part of her role in the House of Lords as the Bishop to Her Majesty’s Women’s Prisons. On Wednesday 17 April she will spend time in Cheltenham General, Gloucestershire Royal and Wotton Lawn hospitals. She will start the day in Cheltenham General, meeting the volunteer team and then lead a Holy Week service on Gallery Ward. She will then join volunteers from Gloucestershire Royal for lunch in Fosters restaurant, before continuing to Wotton Lawn to meet with staff and service users. On Thursday 18 April she will lead the Maundy Thursday service at Gloucester Cathedral, which starts at 11am to which everyone is invited. It is during this service that holy oils to be used in significant life-moment ceremonies will be blessed. These are: The Oil of Chrism which is used at ordination and confirmation services; Oil of Baptism, used at baptisms and Oil of Healing, which is used when ministering to people who are poorly. Carrying the Oil of Healing up to the Bishops to be blessed will be two children connected to the charity Allsorts, who support children with additional needs and their families. In the afternoon she will spend time with other children and families at Allsorts Gloucestershire. On Good Friday, 19 April, Bishop Rachel will spend time at Eastwood Park prison. She will start the day at the daily Governors morning briefing and then go on to spend time with the Chaplains on duty. She will also lead a special foot washing service for the women in prison. In the afternoon, she visits the Grace Network, who are a social enterprise based in Stroud. They provide many different services from a furniture enterprise to a parent and child initiative through to facilitating the local food bank. She will spend time at a community event they are running with their enterprise kids’ stuff. 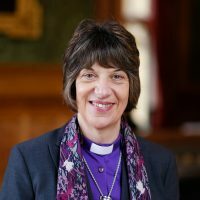 Bishop Rachel will celebrate Easter Sunday at Gloucester Cathedral where she will preach her Easter sermon.